Tamil well known mass director Hari is going to direct a film soon with a Telugu hero. According to the latest reports, we hear that Hari is going to direct NTR and this project will be bilingual .We know NTR is one of the biggest Mass hero in Tollywood. 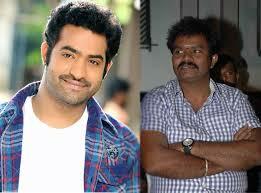 Already NTR in loop with Trivikram , Sukumar And Koratala Siva. So this projectmay start in second half of 2014 . Probably K. Gyana Vel Raja of Studio Green produce this project. Music director is not yet confirmed for this project .